Brandon is a former defense contractor with a Bachelor of Science degree in Project Management. He has owned several successful businesses and he is a former firearms instructor. 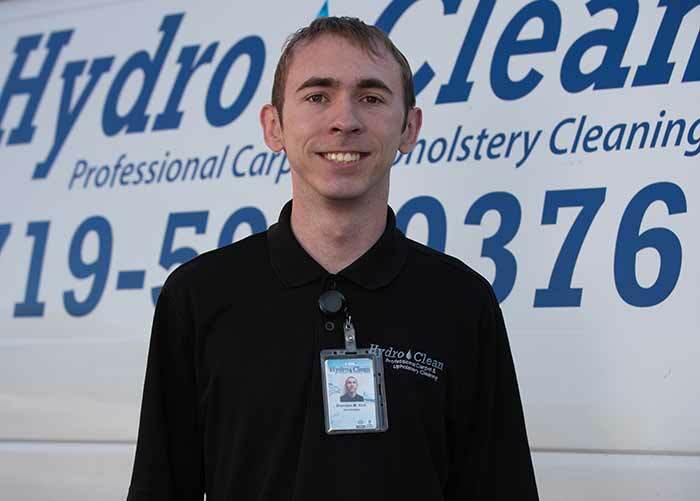 Brandon Is involved in several networking organizations and is well known in the carpet cleaning industry. Brandon is a mentor to other business owners and speaks at local high schools about entrepreneurship and goal setting. His guiding principle is,” Whatever you allow becomes the culture of your business. Brandon Michael has been with the company since day one. He would go to high school and then help clean after school. He worked in the field for 5 years doing both residential and commercial. cleaning and restoration. Brandon graduated from Rampart High School and has his private pilot license. He volunteers with the CSPD downtown ambassador program and other law enforcement support programs. Noah is a US Army Special Operations Combat Veteran. He has lived in Colorado since 2015. Hometown is Orlando Florida where he graduated from St. Cloud High school. Currently attending college at PPCC pursuing a degree in biology. 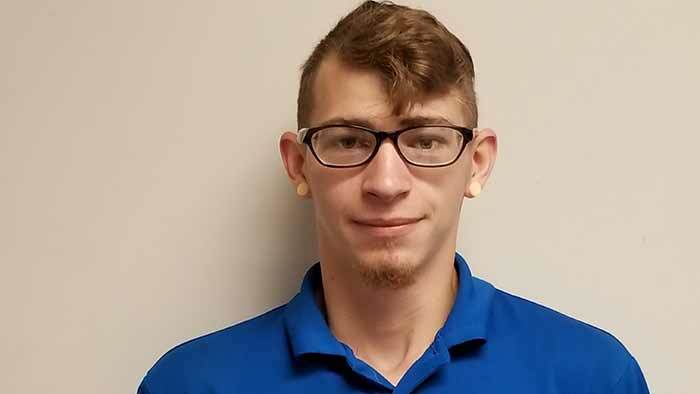 Noah worked in the field for two years and was selected as the office manager because of his great customer service and his ability to lead others. 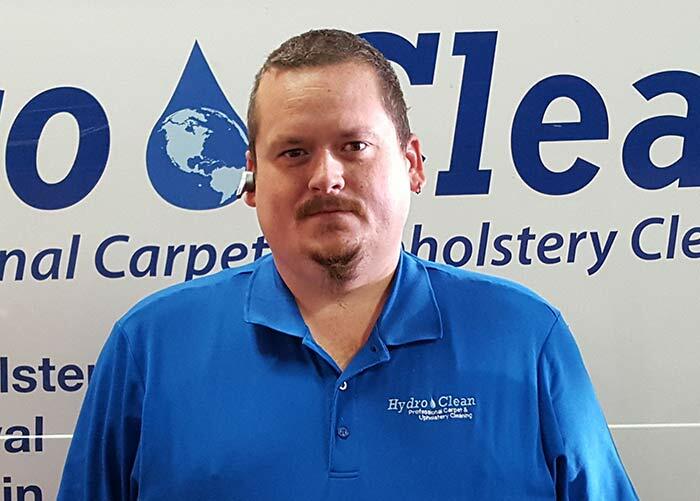 Adam has been in the carpet cleaning industry for over 17 years. Adam does most of our carpet repairs and carpet stretching. He also has a background in construction. He has cleaning and water damage restoration. Because of his experience, he is our most efficient technician. He is able to do his work faster than other technicians while still being thorough. He receives 5-star reviews consistently because of his quality and attention to detail. 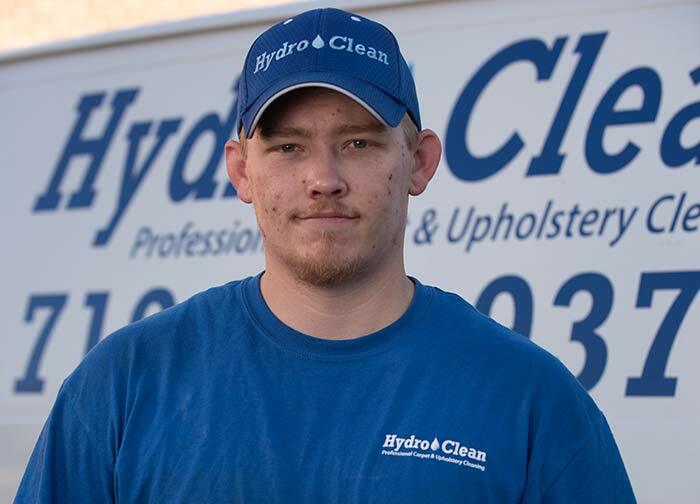 Dakota has been with Hydro Clean the longest of any of our technicians. He is a great carpet cleaner and the consistency of his work is excellent. When not at work, he works on cars and does construction. 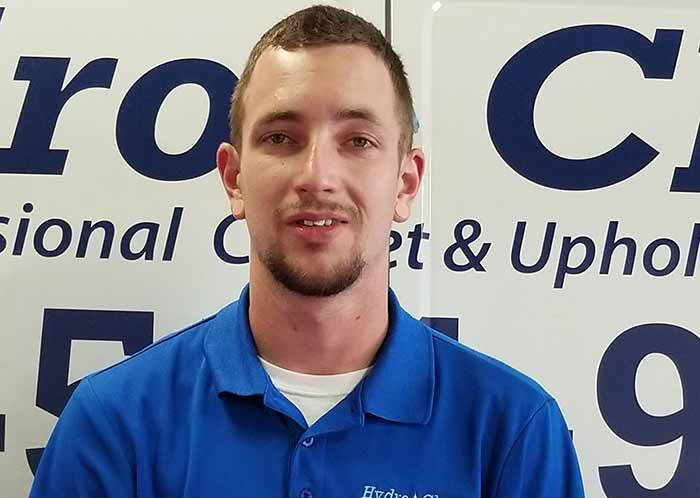 Dakota also keeps our company vehicles running by handling vehicle maintenance and repairs. .
Daniel is newer to the carpet cleaning industry but has done exceptionally well in a short amount of time. His quality and customer service consistently earn him 5 -star reviews. Many clients request him specifically when they schedule. He has a positive attitude and is very concerned about providing great service. 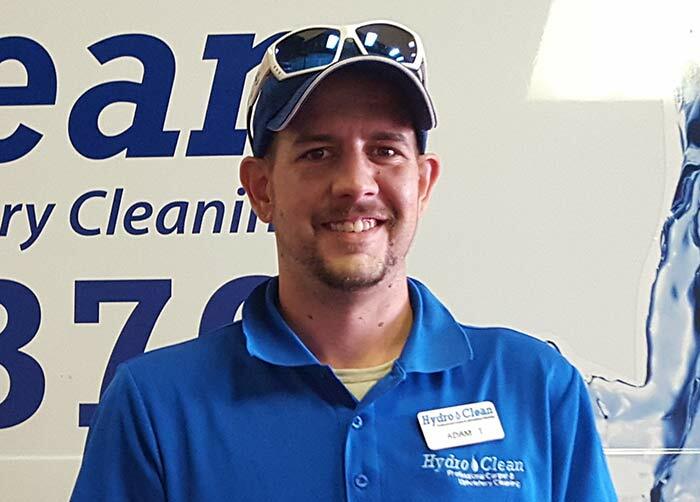 Michael does excellent carpet cleaning and will not settle for anything but the best job possible. He had a background in construction and water and fire damage restoration. Michael helps train the new technicians on the proper way to do the job. 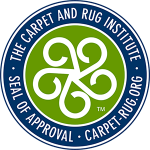 He is supportive but firm in his insistence that our high- quality standards are always met or exceeded. Alex is our newest support technician. He is quickly learning our systems and our company culture. He earned a 5-star customer review on his very first day. Howard has been cleaning carpet of 5 years. 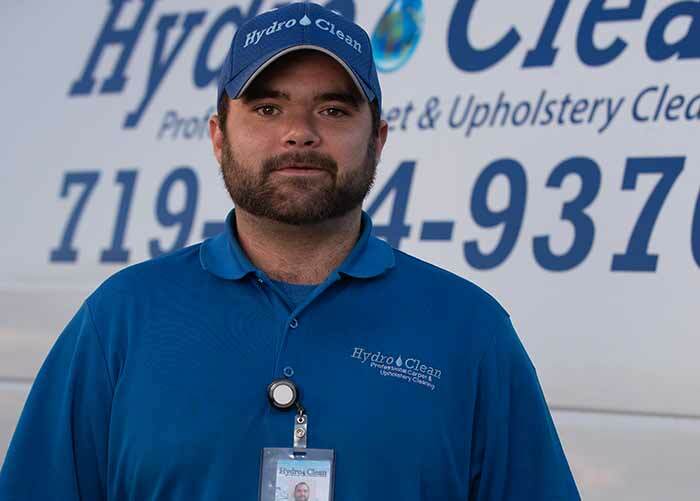 He has done carpet repair, carpet installation, cleaning and emergency water extraction. He has a background in construction and landscaping. Howard is very hands on and makes sure the lead technician has whatever he needs to get the job done right. 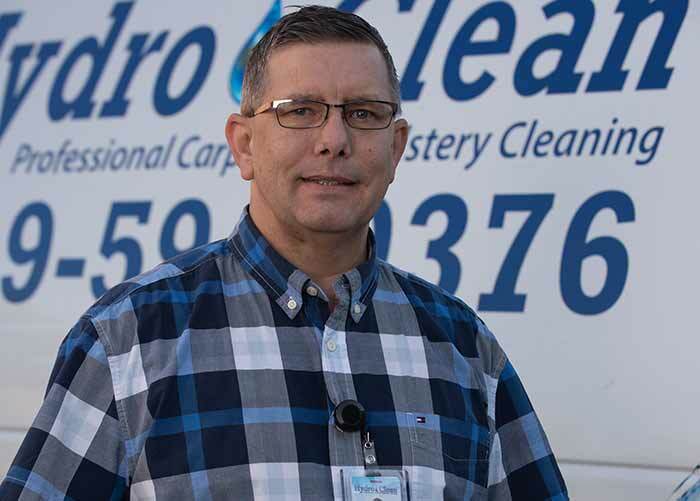 Howard has done lots of apartment and home cleaning with another company. Makenzie does data entry and office organization. She keeps the paperwork in order, so we can function without chaos. 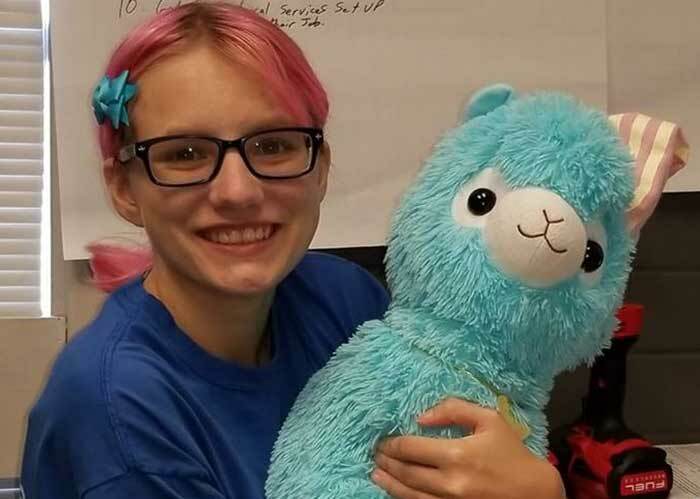 Makenzie is writing a series of children books and she loves Alpacas. 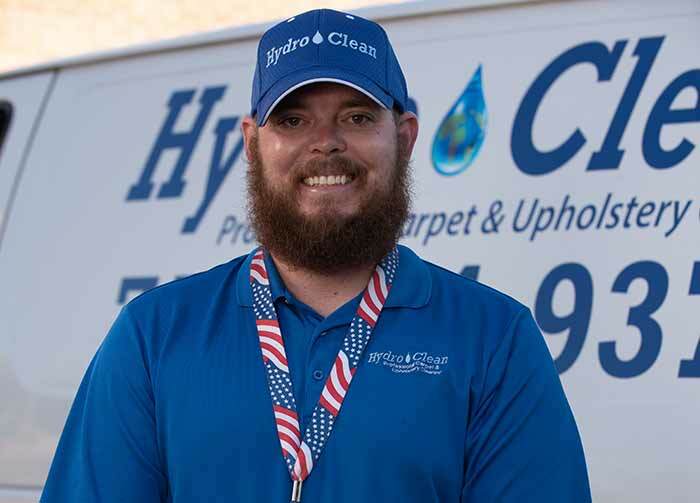 If you need tile, upholstery, residential or commercial carpet cleaning in Colorado Springs, CO, please browse our website to learn more about Hydro Clean and our services. We offer free estimates for upholstery cleaning and carpet cleaning services. 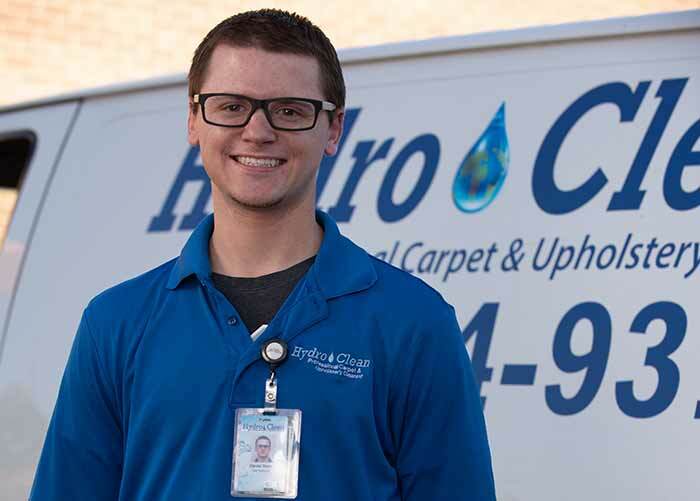 Hydro Clean provides carpet repair services too. We can do bonded inserts (patches), cigarette burn repairs, re-stretching, carpet dyeing and bleach spill color correction. Also be sure to ask about Scotchgard and our Spot and Stain Warranty.